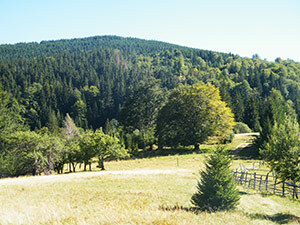 Around the beginning of the last century, the Magureni village, in the Hunedoara county, could have easily competed for the status of Romania’s highest permanent settlement, beside Fundata, in the Piatra Craiului mountains, currently a well known mountain resort, but previously nearly as unknown as Magureni. What circumstances have led to Fundata catching the attention of European nature lovers, while Magureni ended up disappearing from the map, after being deserted even by the seasonal inhabitants of the last few years? If human settlements have destinies, then the destiny of this particular village certainly is a very strange one. 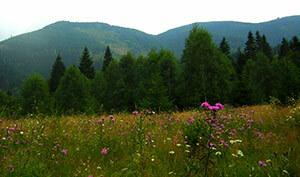 Magureni lies in the Sureanu Mountains, around 1300 – 1400 meters altitude, compared to Fundata ‘s altitude of 1300 meters. Fundata doesn’t need any further descriptions as it has earned in time, a well-deserved international reputation as an agro-touristic village. 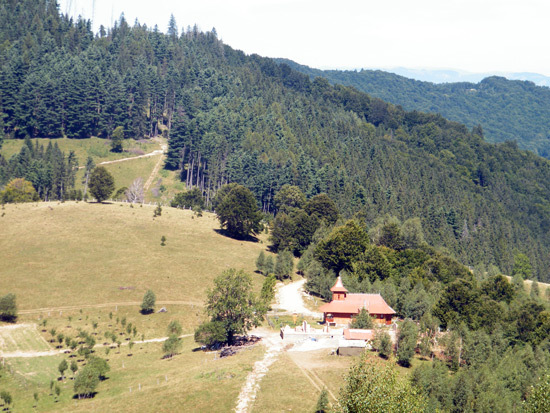 General view from the Magureni Hermitage. 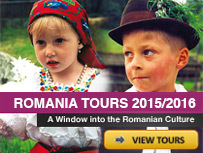 Magureni, the village of breath-taking beauty, had all the same qualities which could have made it a major asset in the Romanian mountain tourism. 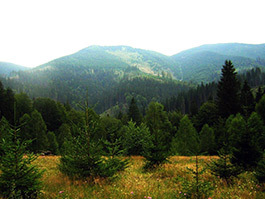 Magureni, even more so than Fundata , also had the great advantage of being fully isolated, as it was completely surrounded by the forests covering the Sureanu Mountains and by mountain peaks rising over 1600 meters above sea level. Right below the Godeanu summit (1659 meters altitude), the Magureni landscape is very similar to the Swiss alpine villages. 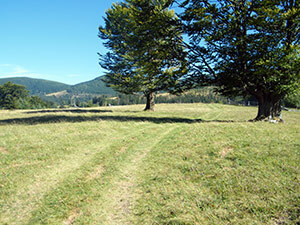 Moreover, the village is about three hours away, on foot, from Sarmisegetusa Regia, the citadel of Dacian kings, so much appreciated by tourists. The settlement’s touristic potential was even noted by writers. 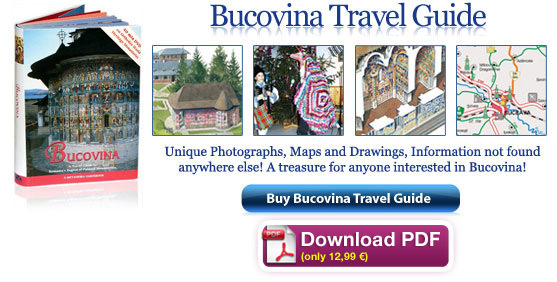 In his book, “A guide to the Hunedoara county”, Octavian Floca tells of the village being visited by people with illnesses, looking for fresh, clean air and splendid alpine landscapes. 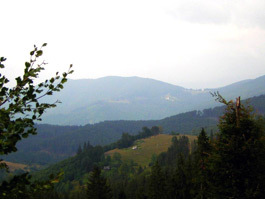 More recently, in a monograph of the Sureanu Mountains, Emilian Cristea has described the village as being perfectly suitable for an alpine resort. But, instead of becoming a resort bustling with tourists, Magureni has even been deserted by the seasonal inhabitants which used to bring, in recent years, their sheep in the mountain during the summer. Magureni has remained for years in this black statistical segment and would have certainly remained there even now, weren’t it for a recent fact which might have gone by unnoticed in other regions, but here took the significance of no less than a miracle. As this village used to be inhabited by over 140 people, all of them Orthodox Christians, and the village was quite far away from the closest church available, the village not having a church was a very deeply felt inconvenience. The years bring around Easter and Christmas, significant events in the lives of all Christians. The people in this alpine village managed to face the rough weather and the rough times, but couldn’t live without a church in their village. The miracle happened in 2007, when the Magureni was completely empty of human inhabitants, and yet a church was built in the deserted village. It’s a rather small church, built in wood, but every Sunday and every major religious holiday, the small church is bursting with believers. The church in Magureni isn’t visited only by former villagers, coming right up the mountain from Orastie, but also by folk from Brad, Alba, Cugir, even Timisoara or Bucharest. Now a hermitage is being built by the side of the church. It’s a nunnery, dedicated to the Transfiguration and Birth of Our Lady Mary, the same as the church. The nuns have come from different other nunneries. 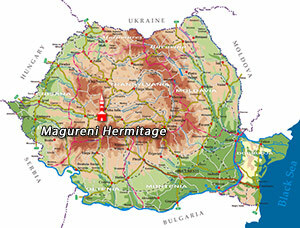 What Magureni still needs, right now, so as to compete for being recognized as the highest permanent settlement in Romania is, of course, a population – which can live there throughout the year, since Magureni now has a church.